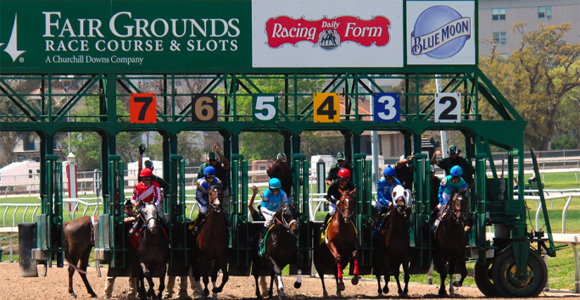 Last year, Churchill Downs Inc. was under scrutiny by the Louisiana legislation, however, this time around, they were given a five year renewed license to run and operate slot machines at the Fair Grounds. This doesn’t come as a shock to anyone, seeing as how much revenue these games bring in; they help subsidize purses for the races. Slot machines made gross profits of $46 million during the 2013-14 year, which is a very high figure. The main concern that many, including the Louisiana legislation, have is the fact that CDI may be focusing too much of their time, money, and interest in their slots, rather the race track. It was lucky that the Louisiana Gaming Control Board chairman Ronnie Jones actually agreed to this license, seeing as how no one fromt the CDI corporate office decided to show up to the meeting. Hopefully, they show up next time, or things may be different. With the possibility that more casinos and racetracks will be given more privileges in the US, it would not be a good idea to piss off the people in charge. For more details on this matter visit Nola.com.